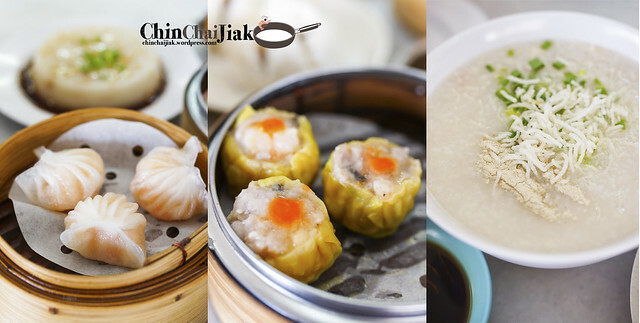 Yi Dian Xin is the fuss-free no frill Dim Sum situated in a coffee shop along Upper Serangoon Road, which is within walking distance from Kovan MRT. 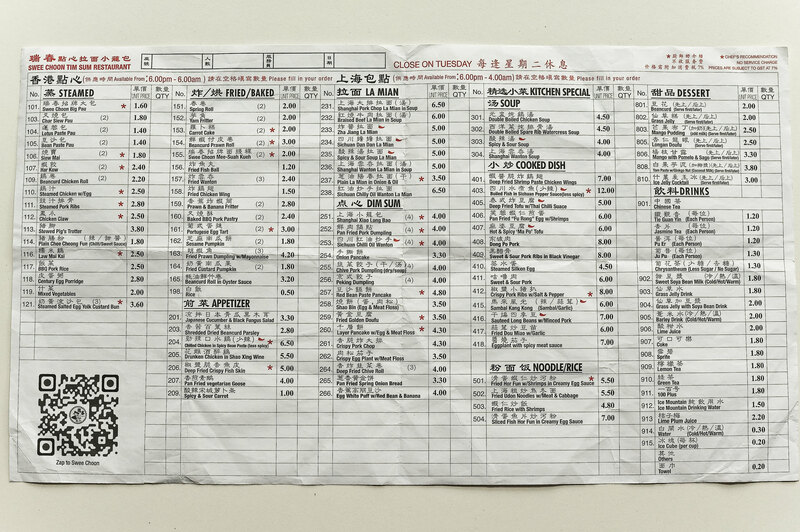 The most expensive item on their menu is only $3.50 nett, which is their Rice Roll with Prawn. It was said that the person behind this stall is an ex-chef from Tung Lok Restaurant at East Coast. Their opening hours is not exactly easy to meet especially for the working class so the only chance i have is to visit on weekends. I visited this place a couple of times and my favourite are their Steamed Carrot Cake and their Signature Salted Egg Custard Bun. 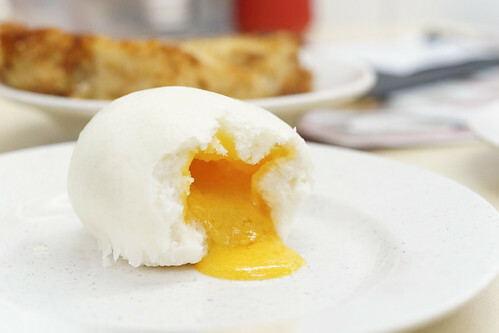 At only S$3.30 nett, this should be one of the most value-for-money Custard Bun in Singapore. 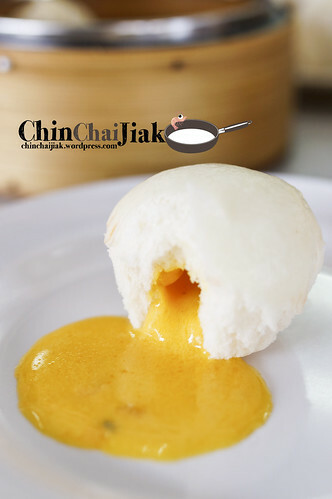 This bite size Custard Bun really packs a punch in it’s flavour with over-flowing molten custard. The custard is milky smooth with only a tinge of salted egg yolk taste (for those who like heavy egg yolk taste, you may be a little disappointed). The thing i like about this custard is it’s not overly sweet so there’s always stomach for a second or third serving. This is definitely my must-order. 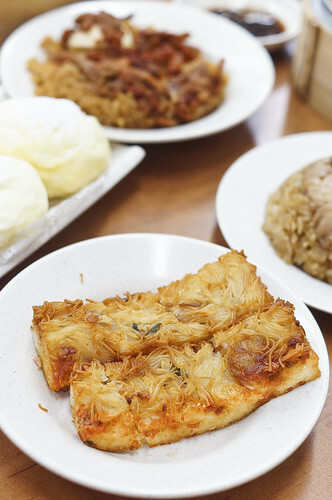 Yi Dian Xin’s offers an old-school style（古早味) carrot cake and i love this dish for the small chunks of radish that is added into the soft and melt-in-your-mouth carrot cake. I thought carrot cake with such taste is already not commonly found in Singapore. The dried shrimps that are added to it gives the carrot cake another dimension of taste and the special soy sauce complete the dish with a slight sweet and savoury taste. This is another of my must-order. 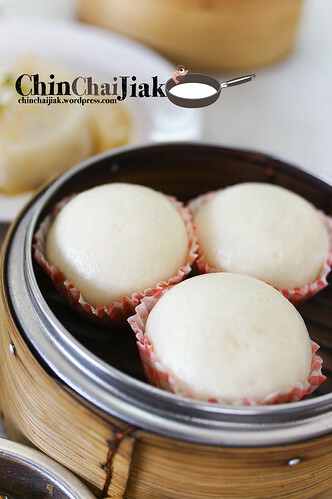 I like the fluffy and spongy bun and it’s texture and i thought they can be more generous with their filling and it’s a little dry. Although the beancurd skin and oyster sauce is nice, i thought the flavour of the minced meat paste is a little lacking. 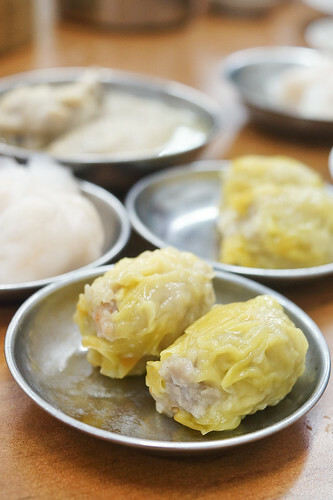 There is nothing much to shout about for their Siew Mai and Har Gow that is average despite the “thumbs up” sign on their menu. But one thing that is commendable is the fresh ingredient used and it is especially evident through the bouncy texture of the prawn. 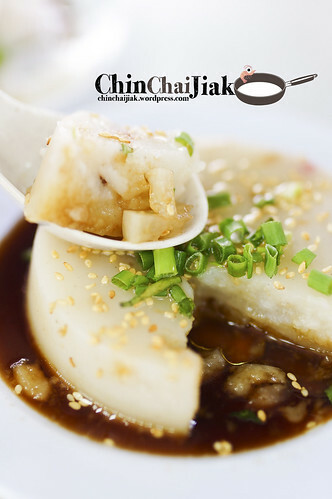 Yi Dian Xin’s Rice Roll is a fusion of Hong Kong style Chang Fen and our Singapore’s Zhu Chang Fen. 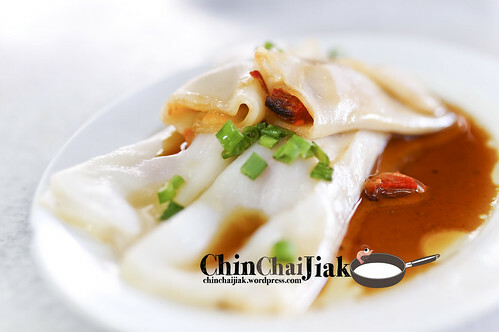 This rice roll skin is thicker like our Singapore’s style and it’s served with Hong Kong Style Soy Sauce. I thought i still prefer the soft Hong Kong style rice roll when it comes to Dim Sum. 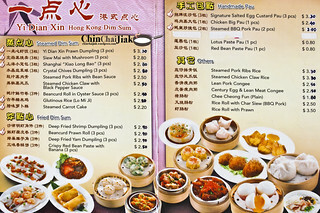 Yi Dian Xin is clearly one of the most value for money Dim Sum in the North East region. If you ask me whether is it worth it to travel all the way from the west to Yi Dian Xin, my answer will be “not really”. 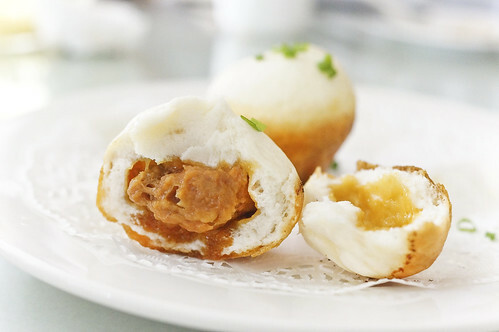 However, if you are nearby, i thought it’s worth the travel for their two items – Steamed Carrot Cake and their Liu Sha Bao. 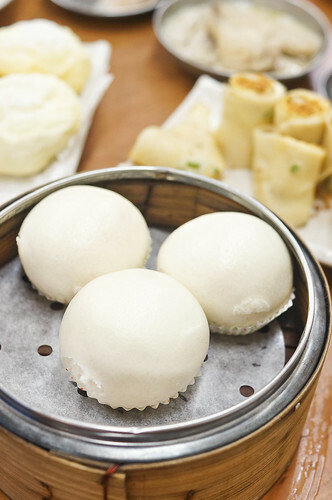 There is a afforable place to satisfy your craving for Dim Sum and Liu Sha Bao. Apart from that, i think some items were average and the next attraction is for it’s reasonable price. 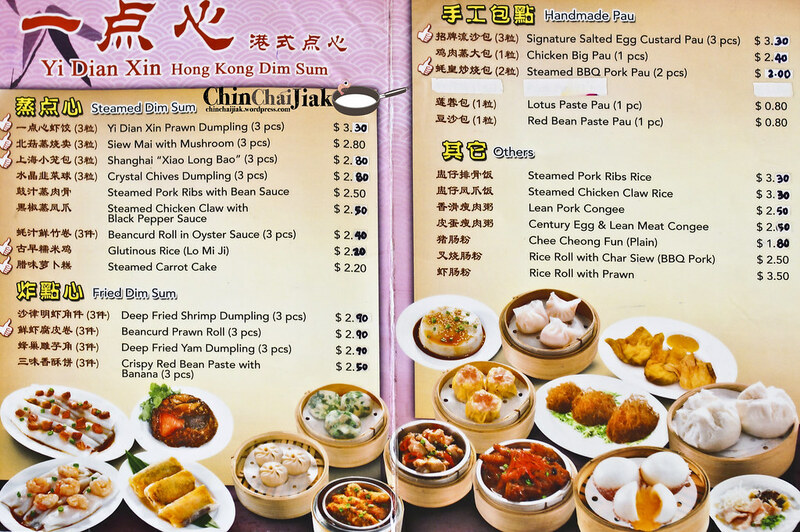 All prices shown in the menu is nett price so if we convert it to a restaurant price format, their Salted Egg Custard Pau is only $2.80++, the steamed carrot cake at $1.88++ and fried prawn dumpling is $2.50++ only. And why i like this place? 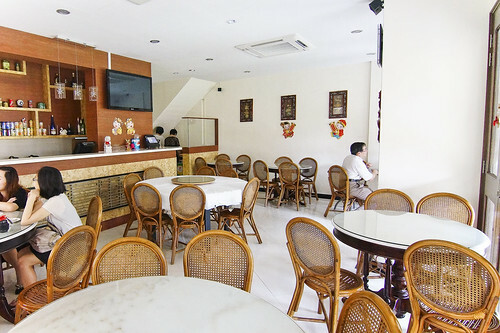 The coffee shop is not bursting with crowd even on weekend so it is a rather good place to chill, and to enjoy a piping hot Dim Sum meal while indulging in a cup of Teh-C Kosong. My favourite dish. $8.40 for 6 pieces. This is my third visit and their Pan Fried Meat Bun on my must-order since I tried it for the first time. Basically this is a mini pork bun that is pan-fried till half of the bun turned golden brown and the exterior fried to crisp. I really enjoyed the juicy pork fillings that goes with the crispy and yet fluffy bun. I remembered on my second visit, the boss surprised me when we requested for a second serving of their Pan Fried Meat Bun but the boss declined as he only has limited quantity and need to save this for guests who are visiting later. This popiah is what netizen had been raving about and some said it’s one of the best they had. 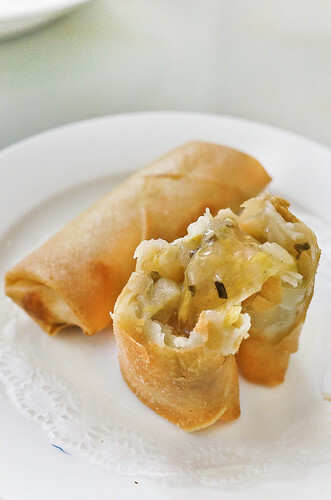 Shanghai Ren Jia uses Chinese Cabbage as the main filling instead of our Singapore version of popiah that is filled with Turnip. Once I had to wait up to an hour until this dish is served. 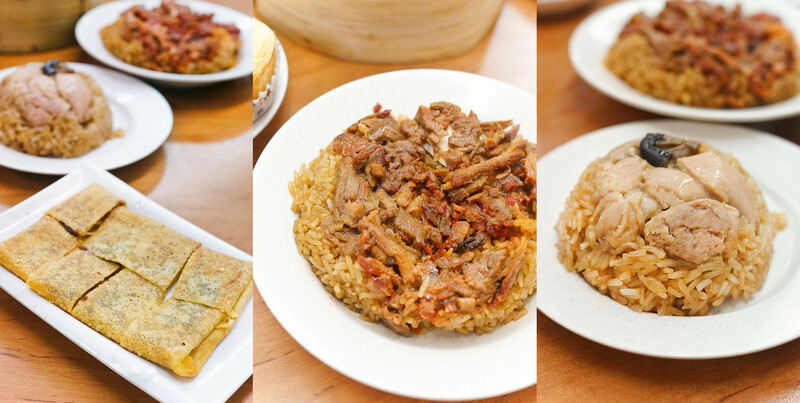 But since Shanghai Ren Jia serves their dishes rather slowly, dish-by-dish at a short interval, the waiting time became not as painful. 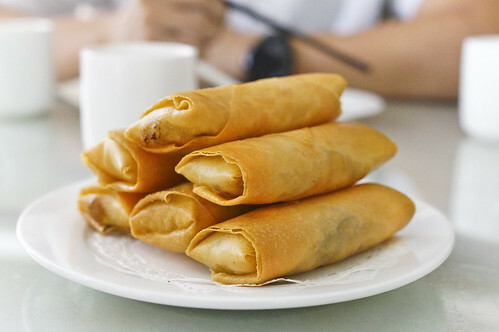 The popiah skin is more or less the same as others but the fillings is exceptional. Thick piping hot gravy of braised cabbage with minced meat overflowed into my mouth upon the first bite andddddd I almost got scald. Best if I let it cool down a little before the first bite. $7.20 for 6 pieces. Not expensive isn’t it? This is also one of the must-try. 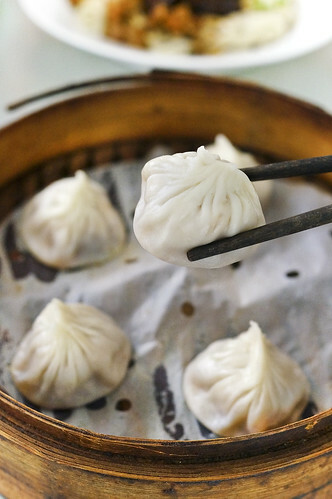 Upon taking my first bite, i am kind of disappointed as the skin of the Xiao Long Bao is rather thick and a little tough, until I tasted the soup and Pork filling. Shanghai Ren Jia don’t serve vinegar and ginger with their Xiao Long Bao. 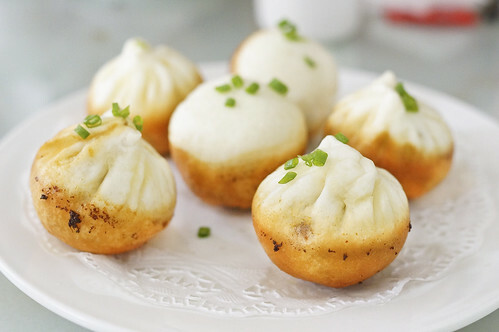 This Xiao Long Bao’s filling already has a light ginger taste so for those who don’t like ginger, you know what to expect. I have friends who are rather sensitive to the “pork taste” but I can proudly say that this has none apart from the sweet natural flavor of the pork. 5 pcs for $6 nett. 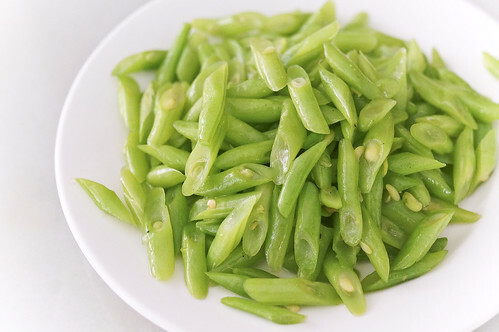 At $7.00, this french bean has a super ordinary appearance but the taste packs a punch. You can’t see from the appearance but this dish is rather spicy and it’s really addictive. Before i know it, this whole plate of french beans had been cleared from the plate like it’s some kind of tidbits. Apparently the boss is extremely proud of this dish. He mentioned that in order to present a Shanghai style Pork Belly Bun that suits our local’s taste, he actually went around the island to try out various local Pork Belly Buns and this is his end product. At $11.50 for 5 pieces of bun, i would say the price is quite reasonable. Firstly, I have to mention that this is NOT our Singapore style Pork Belly Bun so I can’t expect the same taste. 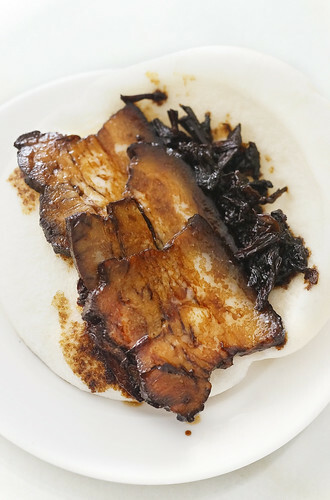 The method to enjoy this dish is to sandwich a layer of their Mei Cai (Pickled Chinese Mustard) with a few pieces of thin pork belly to go with the sauce. Frankly, I still prefer our local version which offers a much thicker chunks of pork belly. 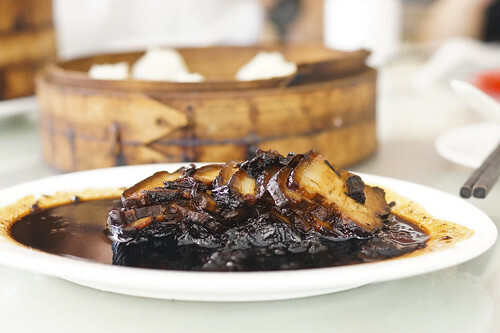 Shanghai Ren Jia’s version offers thin slices of pork belly that were soaked in a sweeter-than-salty gravy. 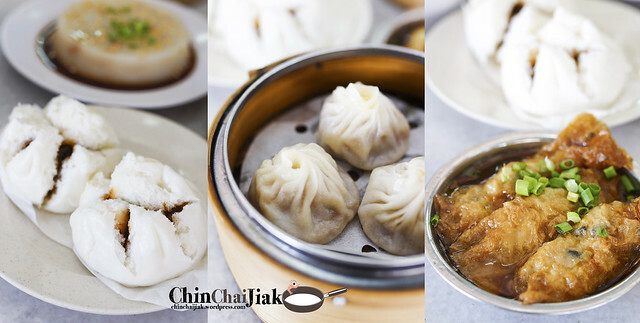 The fats don’t really melt in my mouth like some of our local version, and i think the Mei Cai do not actually enhance the overall taste and texture. However, I will still order this dish during my visit to have a different taste of a Pork Belly Bun variation. The boss was really naggy because of this dish. We visited this place in a group of five but only ordered one plate of noodle and the boss was like “a plate is just not enough and you guys will be missing out the good stuff” and is saying this is their signature. The funny thing is, their so-call “signature” dish changes during different visits. LOL. I need to spend some effort explaining to him that we had this for our previous visits and a plate is enough as we are having something else elsewhere so we try not to stuff ourselves. And for the taste? One of the best Chinese-style handmade noodle that I tried. 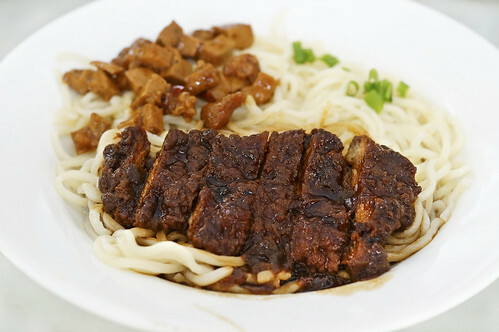 At $6.00, the noodle is flavored with shallot oil and the braised pork rib gravy with a small portion of minced chicken cubes. 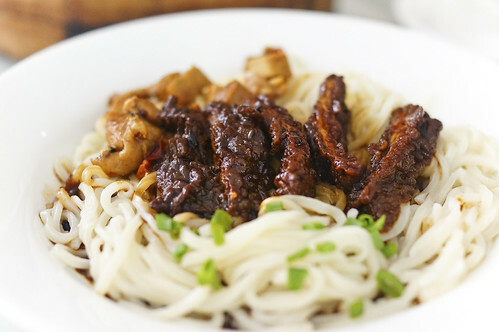 This noodle is so simple and yet so delightful. I can finish the noodle even without the pork ribs. The noodle is made fresh on a daily basis and is cooked to the ideal softness. And the soft and tender braised pork ribs just made this dish even better. I visited shanghai Ren Jia for the third time and from the way the boss speaks, i can still feel his burning passion for cooking. There was a couple of times I told him that “we will order more if it’s not filling enough” but he discouraged it every time simply because all ingredients for the dishes have to be prepared from scratch and would take another 20-30 minutes of waiting time. Only this will ensure his dishes are of the best possible quality. Therefore I can safely say that I am not worried about the quality of the dishes here at all. I have to emphasis that this place is not for people who are in a rush for a quick meal. You will definitely leave this place unhappy. Else, perhaps this place may be an ideal place to visit with a small group of friends to spend your morning and to have a decent Shanghai-style dim sum.